The buckler is one of the smallest shields favored by warriors in the medieval and renaissance era, but size hardly makes it any less effective. With its all-metal construction, this Riveted Steel Buckler stands alone as a solidly defensive implement. In construction, a buckler is a small-sized round shield, designed to be easily wielded with just one hand. It was a particular favorite of fencers and duelists, as it allowed for easier parrying and defense, while leaving the sword open for pure offense. Soldiers and warriors prized it for a similar reason. This buckler is made entirely from 14 gauge mild steel and features steel rivets in a sunburst array about the central boss, adding a bit of detail and a bit of extra strength, too. The center also features a simulated boss (which is built into the all-metal construction). 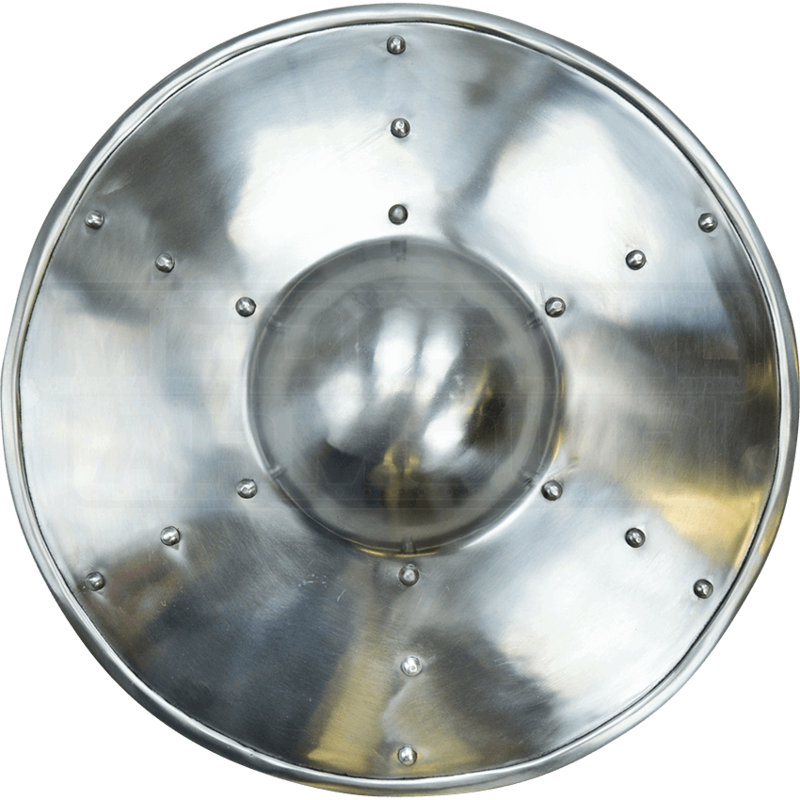 With a diameter of 14.5 inches, this Riveted Steel Buckler is a small shield that offers big defense, making it a functional part of any warriors attire and standard battle equipment.